I've been doing a lot of cooking and baking lately. Tis the season to splurge on the ingredients. Throw the diet rules out the window and enjoy. 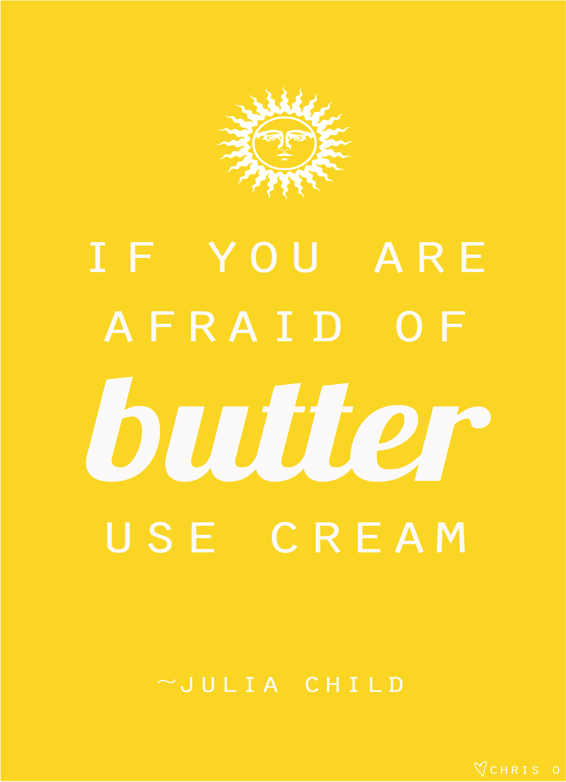 "If you are afraid of butter, use cream."